Retro look. Rings for roughly 7 seconds to alarm you that the time is up! Set next to metal stove, fridge and more. 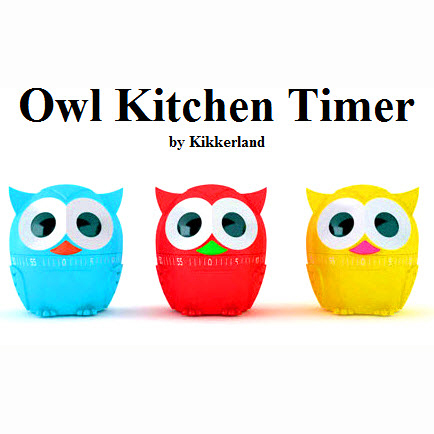 Adorable wide eyed owlet kitchen timer will keep watch and time your food so it turns out just right. Turn the head of the owlet to set the time. Timer goes up to sixty minutes. Steel mechanism with plastic exterior and rubber feet. Timing is everything when it comes to cooking so get this cool large timer by Kikkerland.